A slide rail system is a versatile set of equipment for shoring anything from a very simple pit to an extremely elaborate excavation area that poses simultaneous challenges with utilities, overhead clearance and characteristics of the soil. If you are running a company that specializes in trench shoring, you might be interested in purchasing high-quality systems of this type. The complete system will likely include a variety of rail designs, struts and braces to allow you to deal with all sorts of different soil conditions. Trench Shore Rentals offers a wide variety of slide rail systems to meet the needs of any excavation project. 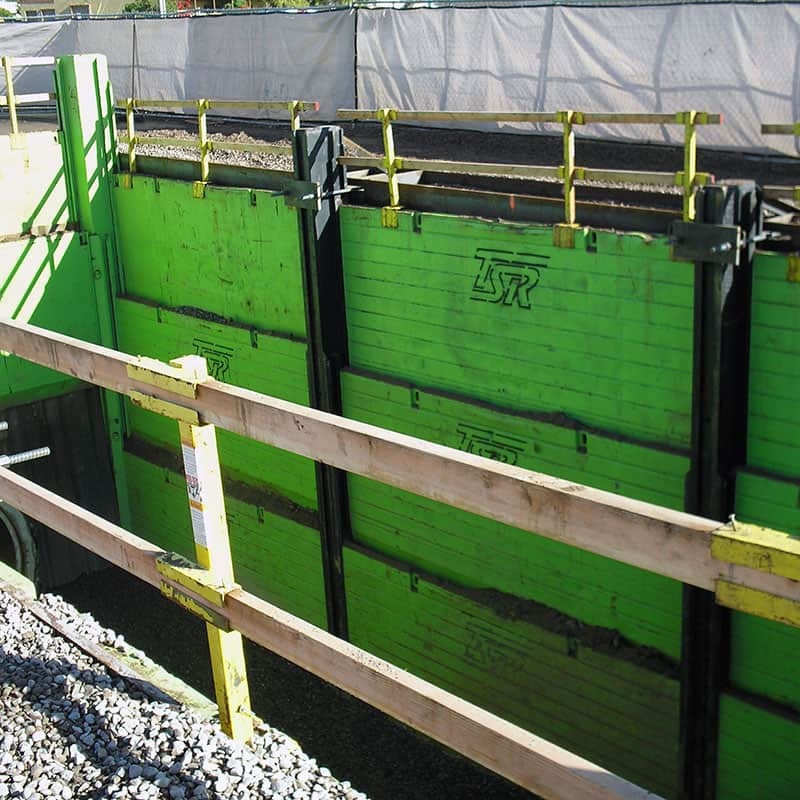 A slide rail system can often be installed while trench excavation is in process. To do so, the trench should first be dug out to a depth of about four feet, and then the first lining plates and rails of the system can be installed. It is important to square up the system as well as possible. 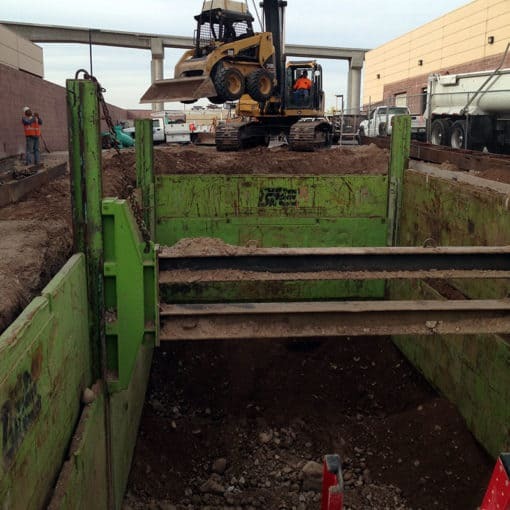 Excavation can continue on the inner part of the system until the requisite amount of soil has been removed. Add rails and panels gradually until the necessary sub-grade has been achieved. By setting up a pre-engineered system of panels, braces and rails, you will be able to sheet a pit of arbitrary size much more quickly than you would if you were taking a more conventional approach like steel-driven sheet piling. You will also find the work to be much easier, and your costs might be decreased by up to fifty percent. Call (602) 253-3311 today for information about the wide selection of slide rail systems and other shoring products available for rent or purchase at Trench Shore Rentals. 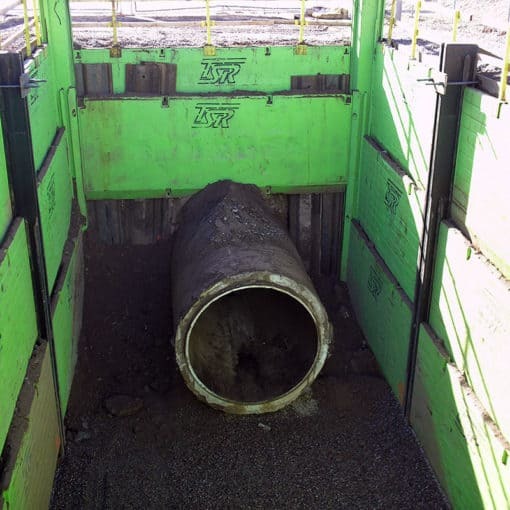 The system can be used in a variety of configurations to meet any shoring challenge, particularly in poor soil conditions or near adjacent structures. It can be custom designed and engineered to fit your job site needs. Excellent option for us and we were very impressed with the help TSR provided.